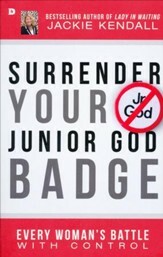 Discipleship is a responsibility of every believer, yet many of us avoid doing it because we don’t know where to start. 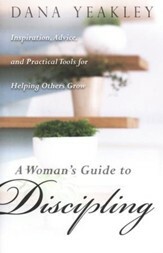 The Gentle Art of Discipling Women provides a framework for discipleship from the mentoring voice of a seasoned discipler. Discipleship is a responsibility of every believer, yet many of us avoid doing it because we dont know where to start. 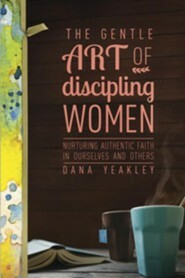 The Gentle Art of Discipling Women provides a framework for discipleship from the mentoring voice of a seasoned discipler. 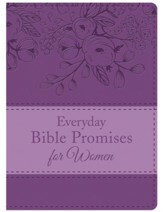 Dana Yeakley walks with you through the foundational principles of who you are in Christ and how you are uniquely equipped to pass along what He has taught you. Be a Disciple: Four foundational truths (We Are Becoming; We Are Forgiven; We Have Access; We Are Safe) strengthen our confidence so that we can pass along our faith. Make a Disciple: Four questions (How Do We Create the Right Atmosphere? Who Do We Help? What Do We Share? How Does Discipling One-on-One Actually Work?) help us nurture a discipleship relationship. The Gentle Art of Discipling Women will help each woman discover her unique gifting in discipleship through her relationship with God, her personality, and her story. 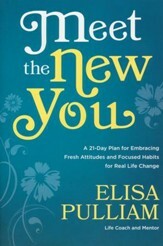 I'm the author/artist and I want to review The Gentle Art of Discipling Women: Nurturing Authentic Faith in Ourselves and Others.